The zenithal hourly rate was already in the 50s this morning UTC (video data also show a steep rise of activity), and the peak should be reached around noon tomorrow: the nights 11/12 and 12/13 August promise the highest rates, depending on the time zone. Here's a visual report from last night, NASA promises some action in the coming night, more previews here, here (more), here, here, here, here and here. General August previews here, here, here and here: occultations of Jupiter and Venus by the Moon on Aug. 12 and 13, a morning visibility of Mercury in mid-August and the opposition of Neptune on Aug. 24 are noteworthy - as are the continuing planet constellations in the evening and morning skies that are already under way. Planet & star meetings in the evening involve Mars, Saturn & Spica: pictures of Aug. 10, Aug. 9, Aug. 5, Aug. 3 and July 24 (more and more). • In the morning it's Jupiter near Aldebaran, with Venus below: pictures of today (more), Aug. 10, July 24, July 18 and July 16 (more). And the Venus misunderstood - a severe case of sky illiteracy ... • Jupiter images of Aug. 9, Aug. 1, July 26, July 23 and July 22, plus the diameters of the Jovian moons. The Jupiter occultation by the Moon in July was covered quickly here and here; more pictures & reports here, here (more), here, here, here, here, here, here, here, here, here, here, here, here, here, here, here, here, here, here, here, here and here. • More results from the Transit of Venus in June on 46 pages, 4 pages and here, here, here, here, here, here, here, here, here, here, here, here, here, here, here and here; also the ToV 2004 on RSA TV in 13 parts and old Indian ToV stuff. • And material from the annular eclipse in May here, here, here and here. 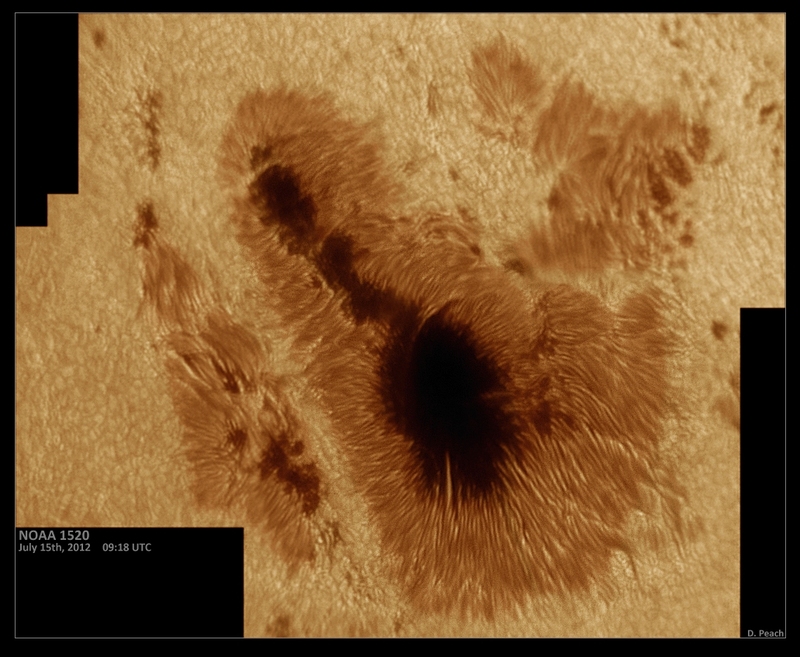 On the Sun a very long filament (more), also on Aug. 5. More solar views & news of Aug. 1, July 30, July 29 (more), July 28 (more, here, more, more, more), July 26, July 23, July 19 (more, more, more, more), July 17 (more, more, more) and July 15 (more, more). 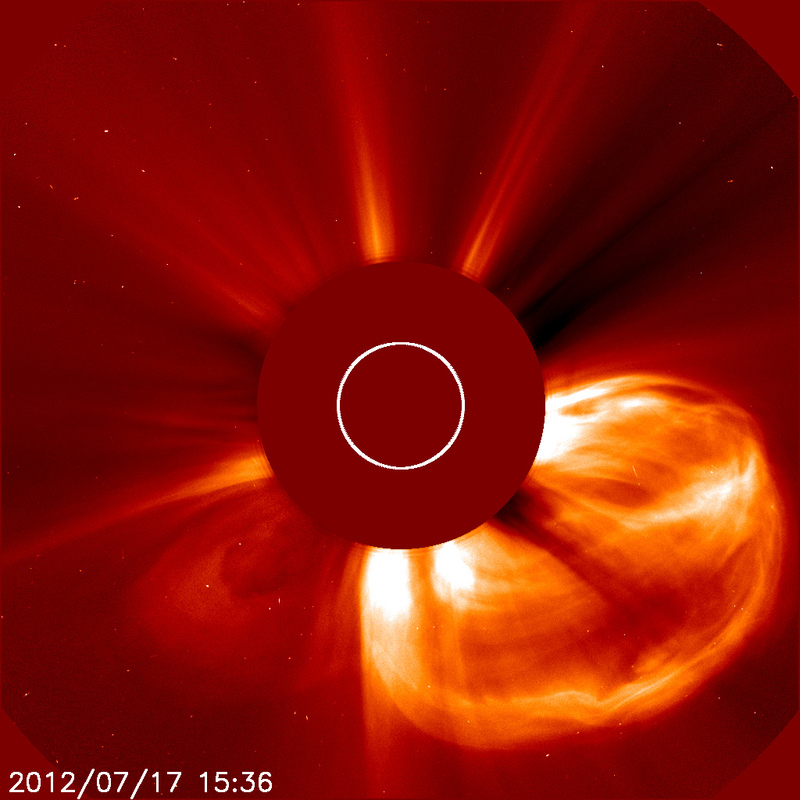 Also an older SDO vid, a July 4 flare movie and AR 1520 details. Plus predicting solar storms via neutrons (more), helioseismology surprise, planet missions and CMEs, the Hi-C and DFS rocket flights, riding plasma waves and Cluster results (more). Aurora action in mid-August in several nights and around the world is also analyzed and discussed here, here, here, here, here, here, here, here, here, here, here, here, here, here, here, here, here, here, here, here and here. • And further airglow sightings & analysis here, here, here, here, here, here and here. An asteroid turned comet is 2012 NJ, covered here, here, here, here, here, here, here, here, here, here, here and here. • Comet 96P/Machholz has split again: reports and pictures here, here, here, here, here, here, here, here, here and here. • Comet Hale-Bopp has been imaged by an amateur now! • Comet PanSTARRS travel options (more). • Also the McNaughts P/2012 O2 (more) and P/2012 O3 - and the crazy Holmes paper has been published and covered here and here (missing the joke). In other news the NEO close approaches of 2002 AM31 (more, more, more and more) and 2012 OQ - and why the Bruce Willis method doesn't work in NEO destruction. • Craters in Canada and Australia - and Uranus action. • Nova Sgr 2012 #5 (more) and #4 and SN 2011fe (more). • An Arabic Ramadan joke and long TV discussion. • An NLC meteor dust link claim (more, more), an NLC climate link claim and July 26/27 NLCs. • Finally some mysteries to solve: with the low Sun here and here (more), after a rocket launch here (more and more) and re. ball lightning here.